Coastal Works focuses on providing client solutions by applying a broad experience gained over many years in the industry. Our management systems ensure that a quality service is delivered at a reasonable price. Client priorities and timeframes become ours when you engage Coastal Works. It has been an interesting journey for Coastal Works to bring us to this point in our history. In 2009 the preparation works for the upgrade of the Pacific Highway between Sapphire and Woolgoolga were underway. 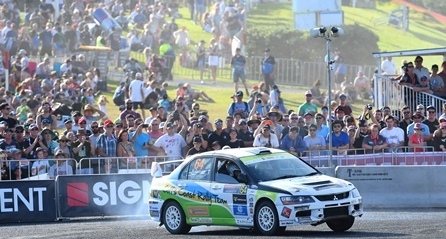 Coffs Harbour City Council and the Roads and Maritime Services entered into an Alliance contract to relocate the water and sewer mains and services for the upgrade. Coastal Works as the business arm of Council was the Alliance Contractor, who carried out the works over an 18 month period valued at $17.5M. From the Highway project the commercial opportunities continued to grow. Coastal Works undertook works for Government Agencies such as ARTC, Dept of Education, Dept of Public Works and RMS. Civil construction projects were also completed for larger developments in the Coffs Harbour area. Coastal Works management structure enables senior management input throughout the life of a project and promotes accessibility to clients. Our ‘business as usual’ model promotes hands on involvement by senior management to ensure that the best possible outcome for our clients are realised. 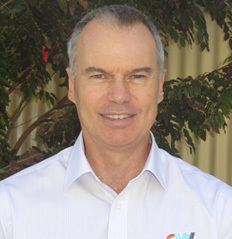 Allan’s career spans over 35 years in the mining and civil engineering industries, both in the commercial world and Local Government. For the last eleven years he has filled a senior management role as the Group Leader – Infrastructure Construction and Maintenance. The Coastal Works Group, which Allan manages, is a team of 250 staff providing a wide range of maintenance and construction services. With the help of his team he has transformed the Coastal Works Group into a commercial unit that delivers high quality complex civil projects for the community and business partners. Terry’s career spans over 26 years in Local Government and civil engineering industries. Through managing quarries and developing specialist skills in pavement materials, construction and surfacing Terry is dedicated to delivering quality projects to meet the needs of the customer. 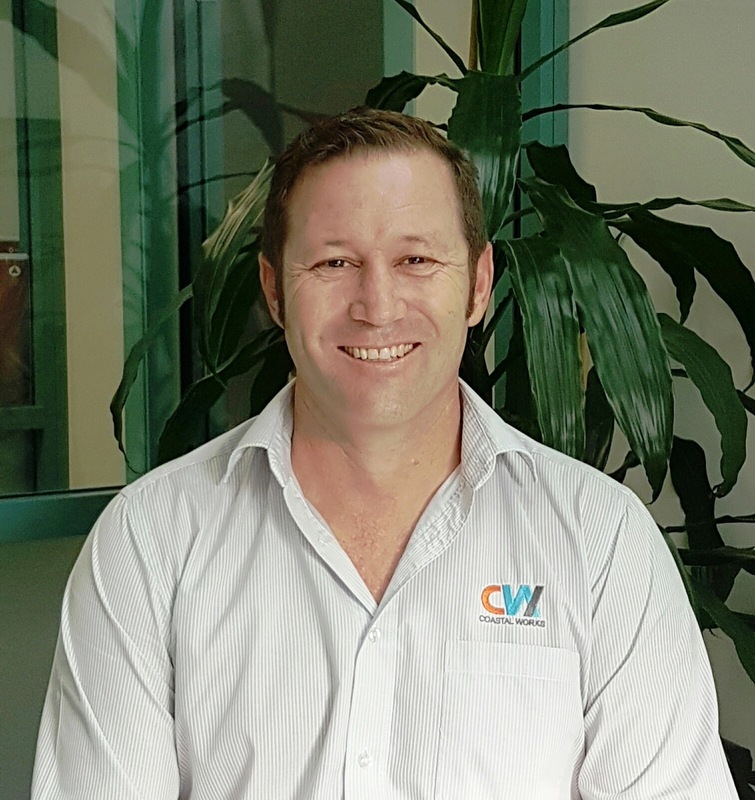 Terry currently manages Coastal Works Maintenance functions delivering outcomes to roads, footpaths, bridges, stormwater systems as well as passive recreational areas of reserves, playgrounds and recreational facilities. The highly dedicated workforce has extremely diverse skills and can not only build it, they can maintain it as well. Angus has a degree in Civil Engineering and 14 years’ experience in the water industry spanning both the public and private sectors. Through his career, Angus has worked in a range of engineering roles including; water and sewer planning and design, water and sewer construction and project management as well as water and sewer operation and maintenance. 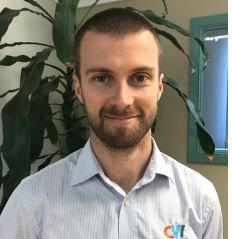 Angus currently manages a team of 60+ dedicated water and sewer staff and is responsible for the operation and maintenance of Coffs Harbour City Council’s water, sewer and reuse systems. These systems include 2 Water Treatment Plants, 4 Wastewater Reclamation (Treatment) Plants and approximately 1,300km of water and sewer mains. Angus’s area includes experienced pipelaying teams expert at pipeline, sewerage pump station and gravity reticulation construction. 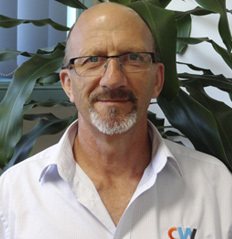 Piers Everitt is the Section Leader for Mechanical and Electrical Services at Coastal Works. He has worked in a range of management and technical roles for over 20 years, with a primary focus on Water and Wastewater electrical systems. Highly customer focused, Piers tailors service structures to suit clients individual needs. Piers is proud to lead a highly skilled team of mechanical and electrical technicians who are ready to assist with quality solutions at short notice. His enthusiasm and drive ensures that he can find and offer solutions to those needs that provide real value. 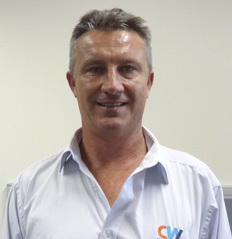 Dion’s career spans over 20 years in the civil construction industry with the last two years with Coastal Works. He is currently the Section Leader – Infrastructure Construction. Dion brings a depth and wealth of experience to Coastal Works through his many years working with Tier1 contractors and local consultancies. He heads a team of Project Engineers and has five full time construction teams at work on projects at any one time. The Infrastructure Construction team strive to excel in the delivery of quality turn key solutions for Government and Industry alike. Coastal Works has received Prequalification from NSW Roads and Maritime Services for roads and bridge works to the level of R1 and B1. The financial approval issued by RMS is for projects up to $5M in value, or over with RMS approval. Coastal Works has recently completed an $8.5M project for the RMS employing the project management systems under R1 and B1 accreditation. Coastal Works is a Prequalified Contractor with NSW Department of Public Works. The value of works is currently capped at $500,000 however Coastal Works intends to apply for a higher prequalification level once ISO accreditation has been achieved for the environmental, safety and quality systems. Coastal Works has a proven track record in managing projects using an Integrated Management System (IMS) for Quality, Environment and Safety activities on all its projects. We are currently reviewing the IMS in order to gain ISO accreditation for Quality, Environment and Safety. We look forward to providing our clients with robust project management systems that manage risk and provide an assurance that Coastal Works is delivering professional quality outcomes. The high standard of Coastal Works projects has been acknowledged by the NSW Institute of Public Works Engineering Australia (IPWEA). In November 2015 Coastal Works received a Highly Commended Award under the Engineering Excellence Programme for its work done on the Pacific Highway / Cook Drive, Coffs Harbour realignment. Staff at Coastal Works were excited to have their hard work recognised with this Award. These Awards are given for the overall performance of the organisation being able to deliver high quality and professional solutions for their clients. 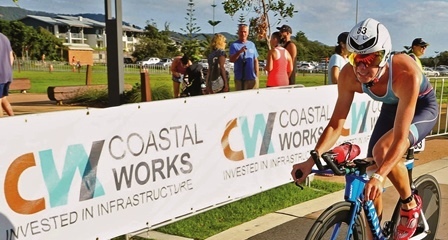 Coastal Works is proud to support a number of events hosted on the Coffs Coast including the bcu Coffs Tri that has grown to be a flagship event on the national triathlon calendar and Kennards Rally Australia who host the World Rally Championships in the hinterland of Coffs Harbour and an impressive stage on the Jetty Foreshores. Coastal Works is currently implementing its environmental, quality and safety procedures in order to gain ISO accreditation for these systems as well as accreditation with the Office of the Federal Safety Commissioner. We look forward to providing our clients with robust project management systems that will manage risk and will provide our clients an assurance that Coastal Works is delivering professional quality outcomes.